There is a fine book, They Started in MGs, that explores just that part of the MG philosophy, examining how many racers who would move into the top echelons cut their teeth on MGs. 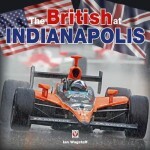 This present book offers the high-level big picture of how MG and its various parent companies approached racing. 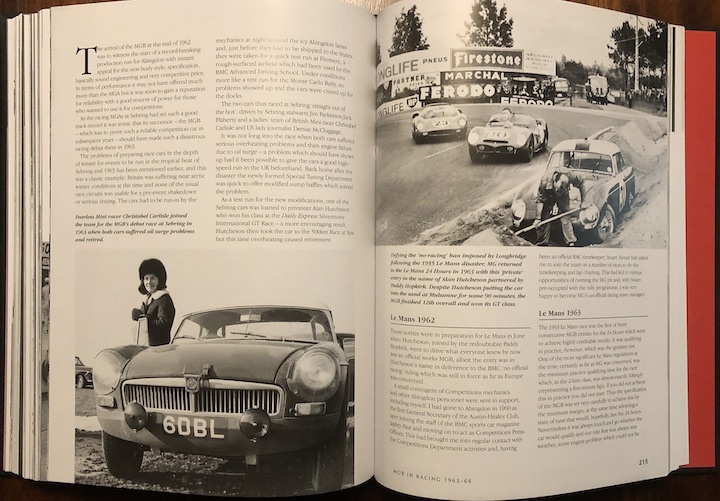 If you’re a fan of MGs—or of plucky British sporting cars in general—you’ll probably think you have this book on the shelf already. 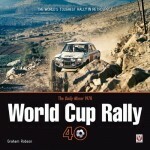 And well you may as this 2019 version is a first reprint of the second edition (2011, ISBN 978-0857330147) of a book that first appeared in 2000 (978-1859606032). While the latter two were both published by Haynes they had different ISBNs because they were not the same book (the 2nd was some 50 pages longer). 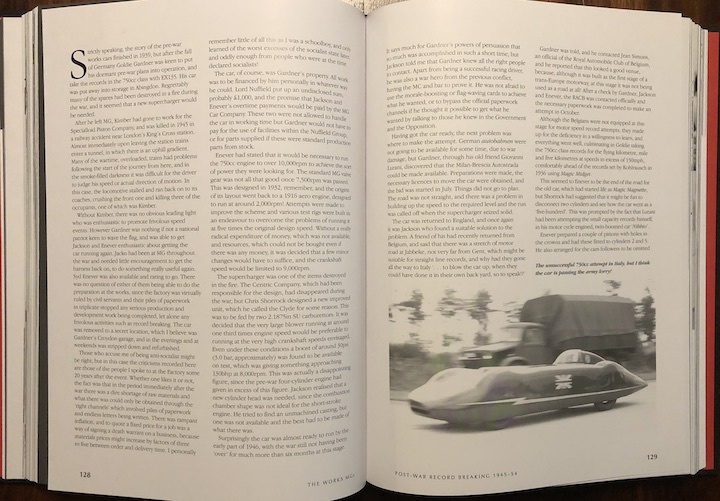 The 3rd and currently newest version is basically the same book as the 2nd but has a different publisher (and therefore yet another ISBN, 978-1-787113-65-7) because Haynes has been out of business for some years and Veloce has taken over the continuation of this one. It does contain minor corrections. 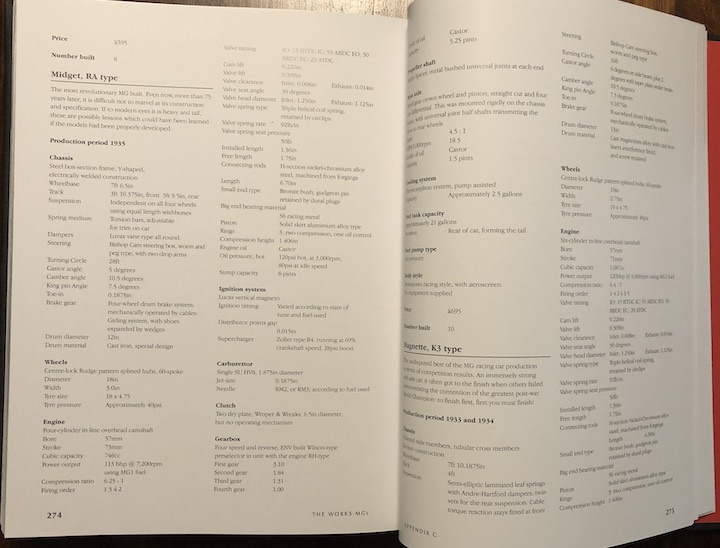 The reason to dwell on this is that if you are buying the book for the first time, be sure you know which one you’re ordering, not least because the prices of the first two are all over the place and sometimes as high as triple what the current one costs! 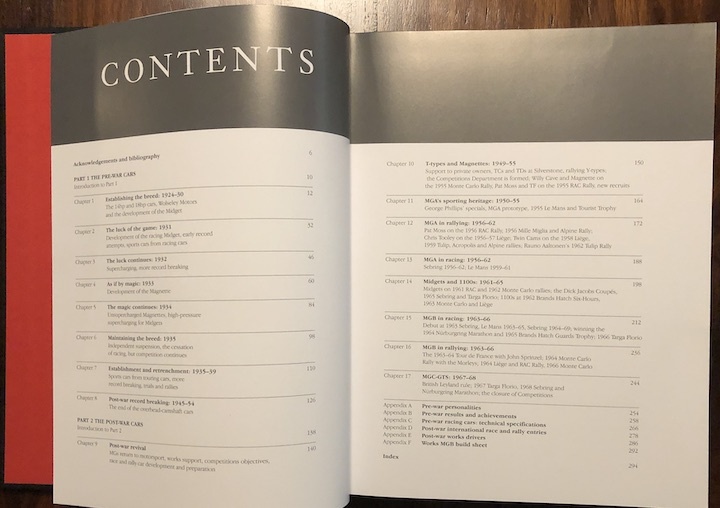 Another reason to dwell on the fact that there are several editions is to make the point that any book that sticks around this long probably deserves to. 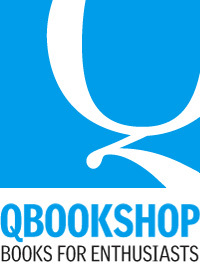 This one most definitely does—even if it really could have used some tweaking. Commendably, Veloce issued this as a hardcover whereas most of the releases in their “Classic Reprint” series, even reprints of their own catalog, are usually softcover. And the reason that matters is that this book will get lots of use, even if you don’t have an MG in the garage or on the bucket list (although . 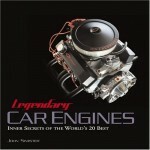 . . you really should; your motoring experience is not complete without it). 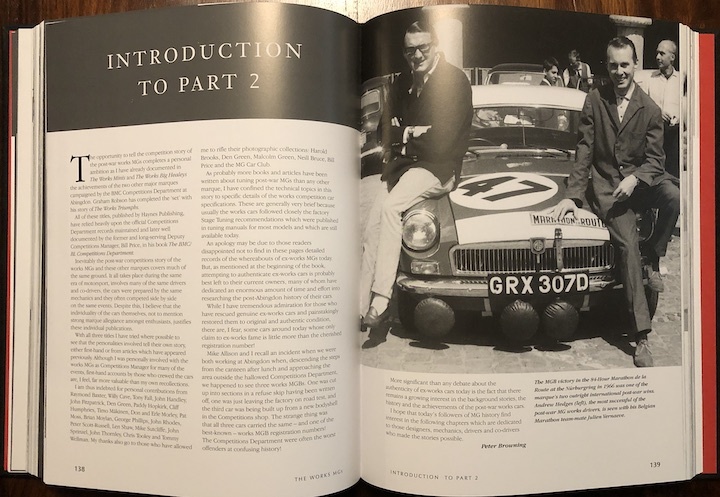 The reason this book has legs and became a standard is that it is written by two people who were directly professionally involved with the company, Allison as a technical specialist with MG and Browning as BMC and then BL Competitions Manager (and later still competitions secretary of the MG Car Club). Thus they know the cars and the people that built them, and they know the British auto industry and its often bizarre alliances, takeovers, thinning out the herd or seeking salvation in diversification, all of which making for an unusually complicated, dense morass that not only makes it difficult to read about in later years but also made it difficult at the time, for MG. 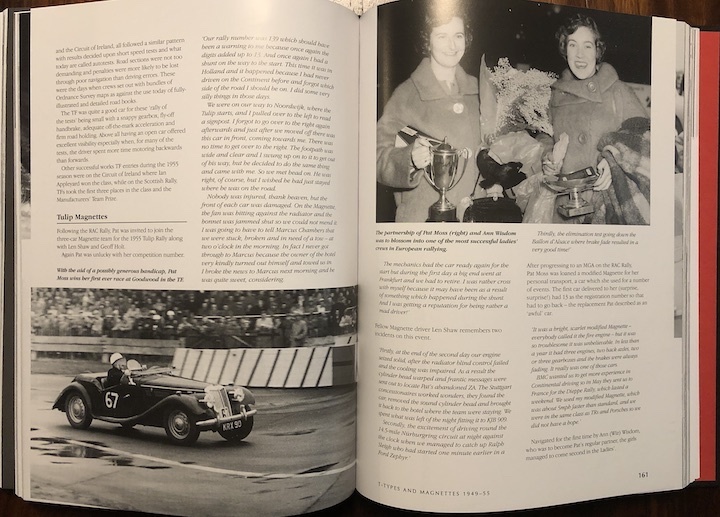 Despite solid sales and a firm place in the market, not to mention actual racing competence which is after all the core topic of this book, MG cars were often treated as the poor relations of their glitzier stablemates such as the Big Healeys. The book is clearly organized but it’s a difficult story to tell and a difficult story to read. As to the former, you really have to chew every word in the introductions—updated for this reprint; quite unusual—to the Pre- (Allison) and Postwar (Browning) sections of the book to grasp what they elected to omit and why. 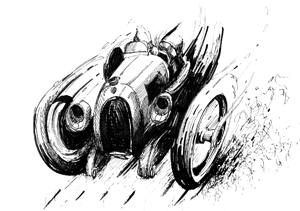 (There are some generically useful observations here whether race cars that are broken up continue to “exist,” an ever stickier subject.) There is no one way to do this so don’t waste any energy carping about it. 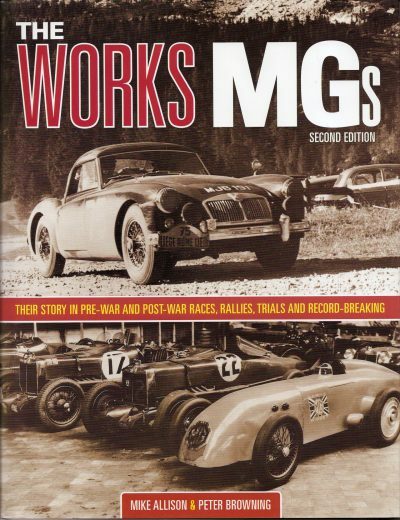 “Works” cars is an especially elastic tern when it comes to MG, and who received support and in what way had often more to do with who knew whom than any standard company policy. 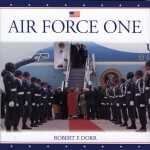 The book covers 1924–1968. 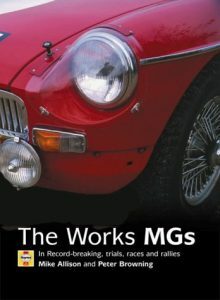 While MG cars continued to be built past that date, the authors do not consider them linked to their forebears, Moreover, they hold that the sport itself has changed. Incidentally, Browning also served as a motorsports functionary (“the most experienced clerk of the course in the UK”) so he brings a wide frame of reference to the table. An early example of how wide a net the authors cast is the role they assign William Morris in the success of MG, not just as an inspiration but the financial uplifting the “Morris empire” made possible. Unexplored must remain the impact of Wolseley Motors, a topic Allison to which wants to devote a separate book. The tone and pacing are such that one sees a deft hand behind the reining-in of the story. 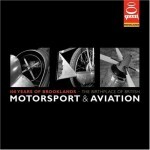 The book is of course bristling with facts and numbers and specs; how could it not? It will require—and reward—an attentive read. That there is quite a deep Index helps, especially on repeat readings. The Appendices, too, are of much utility, and, in fact, a reader new to the MG story ought to start there (A: Personalities, and maybe B: Results and Achievements just to get a first, comprehensive glimpse of the whole arc).